Valentine’s Day is just around the corner and it’s the perfect time to show your loved one how much you care about them — with some fire friendly gifts. Rather than buying the cliche chocolates and roses, you should invest in a gift that will keep on giving. Most couples like to enjoy a nice candle lit dinner on Valentine’s Day. This is your chance to give two gifts in one. 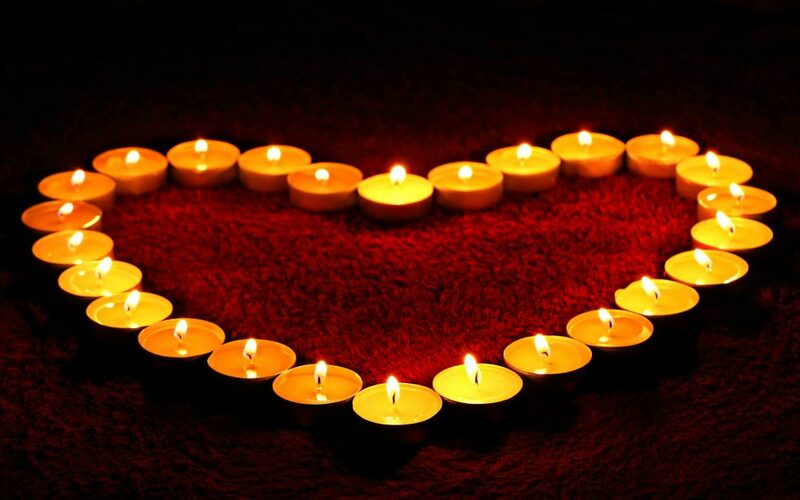 Not only can you plan a special, romantic dinner, but you can use LED flameless candles to set the mood. Then you can let your loved one know that it’s for their safety and they can continue to use them in future. Cozy up with your loved one and a nice, warm fire blanket. Not only will it give you a good excuse to cuddle up, but it can also be used in the future to protect them against a fire. Fire blanks are made out of fire resistant materials. They can smother a fire or wrap around someone who is on fire to extinguish the flame. Okay, maybe a brochure isn’t the most romantic gift for the day of love. However, it can help to keep your loved one informed on the importance of fire safety and how to remain protected. Our Fire Safety Brochure is available for free and it highlights all the services that Frontier Fire offers to protect your home and building. Believe it or not, there are people who don’t own a fire extinguisher. There are also a lot of people who keep an old fire extinguisher somewhere in their house, that could be expired or damaged. So this Valentine’s Day, you can invest in a life saving device and gift it to your significant other. That way you can be a hero and do a great thing. Along the same lines as the fire extinguisher, you can also buy your loved one a new smoke alarm. They aren’t too pricey and can show your loved one how much you care about their safety. Make sure to do you research and find a fire protection company that can help with the installation and maintenance services. Last, but not least, you can give your significant other something that truly says, “I’m a life saver” by gifting them a fire sprinkler system. Whether it’s for a commercial or residential building, Frontier Fire can work with you to install a high quality fire sprinkler system. Because how else can you let your loved one know just how much you care about their safety? Frontier Fire would love to help you find the perfect fire friendly gift for your loved one. We provide fire alarm, fire sprinkler and backflow services throughout the Rocky Mountain Region. If you’re interested in our services, give us a call today at any of our fire protection locations.